Sweet orange juice, bright lime and salty soy sauce combine to make a savory Citrus Ponzu Dipping Sauce. It takes less than ten minutes to make! It’s tasty and tantalizing, making your favorite appetizer even more delicious! 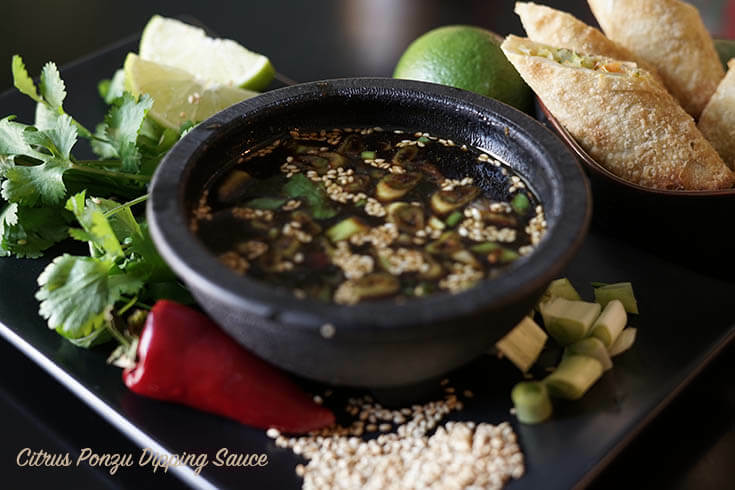 Citrus Ponzu Dipping Sauce – Sweet orange juice, bright lime and salty soy sauce make a savory sauce! OK the holidays are officially here! Are you getting caught up in the hustle and bustle? I’ve been making a real effort this year to keep the holidays manageable and stress free. I hope you have too! Holidays definitely have their challenges. Creating meaningful memories can be overlooked when there’s is so much pressure to make everything “perfect”. My suggestion is to focus on being present and in the moment, bonding with family and friends. Lots of laughter and love will keep it jolly! I’m going to help you keep things more manageable with another easy meal and recipe! 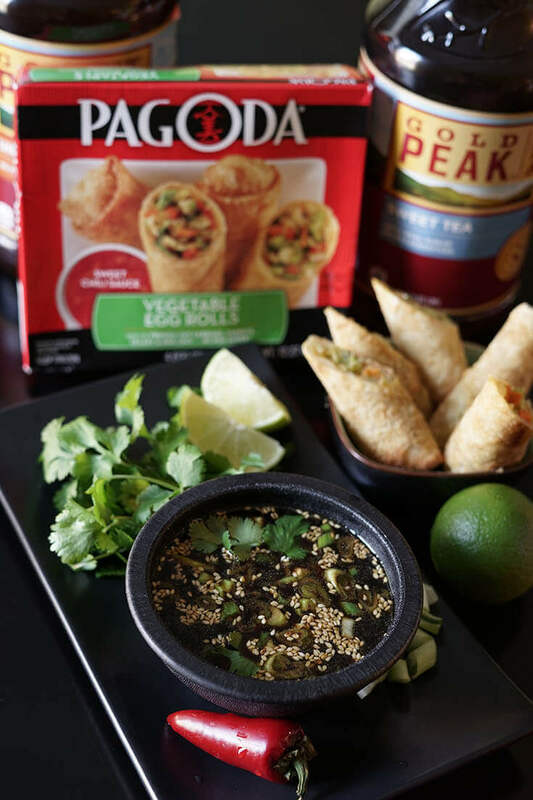 This sauce is quick and easy to make and goes beautifully with the Pagoda Vegetable Egg Rolls and Gold Peak Tea® I picked up at my local Vons! AND I got something even better for you! How cool is that? Not only will you have a great stress-free meal, but you’ll be able to save some $’s at Fandango! Enjoy an easy stress-free meal with your family! 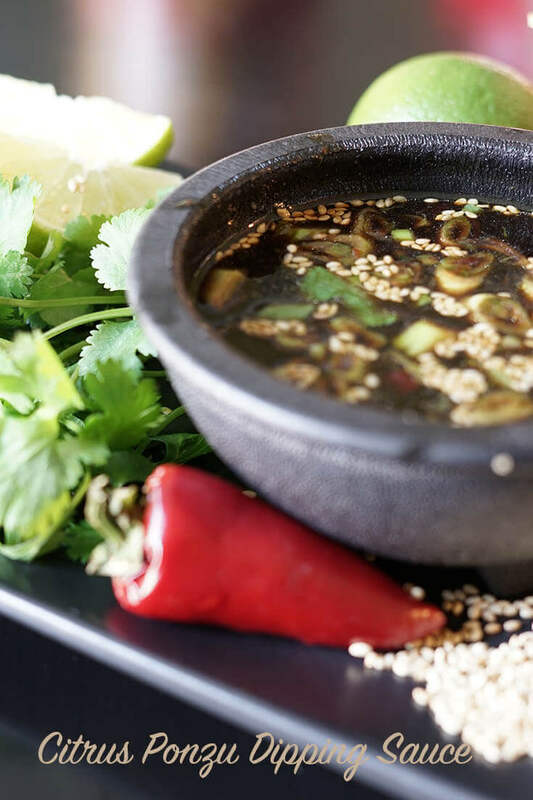 When it comes to making this sauce, it’s super easy and you’re going to really enjoy it – it compliments the appetizers deliciously! Add the chili garlic sauce, vinegar and sesame seed oil and whisk well. Add in the sesame seeds, cilantro and onions and whisk again, the sauce is done! 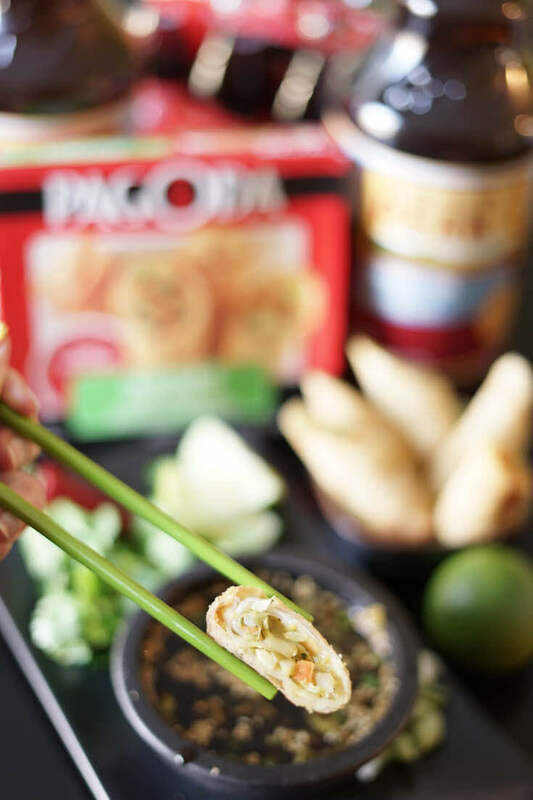 This goes deliciously with Pagoda appetizers paired with Gold Peak Tea! And wa-la! The sauce is done! 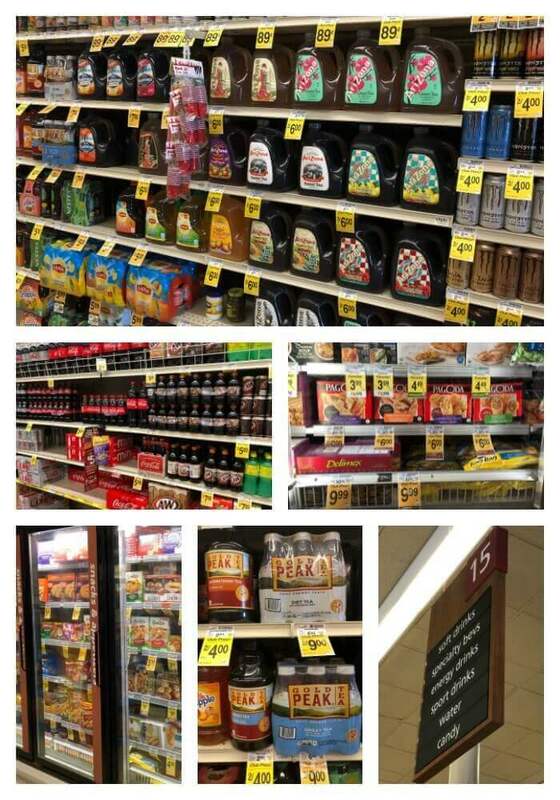 When you are shopping for these products, be sure to purchase them in the same transaction and spend at least $10 dollars. Your code will be on the Catalina receipt. You will be directed to the Fandango site to redeem the movie ticket reward. Check out this link for Offer Details on the Fandango Reward. Hurry! Offer ends 12/31/17. 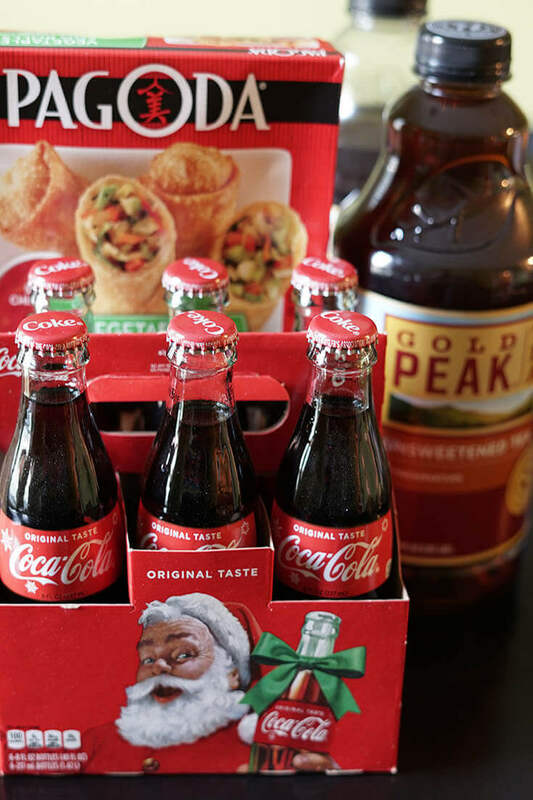 We really enjoy Gold Peak Tea, specially the Sweet Tea! 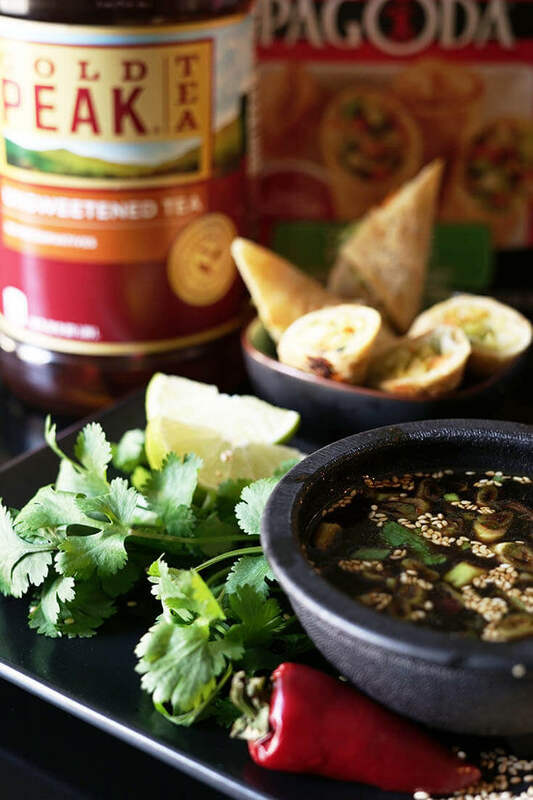 It’s a delicious sip and Pagoda appetizers are quick to fix and a yummy bite. I always keep something easy in the freezer that I can put together quickly. This is great if you’re looking for a an easy meal or a quick fix when you have unexpected company! (Keeping the holidays stress-free, right?!!) 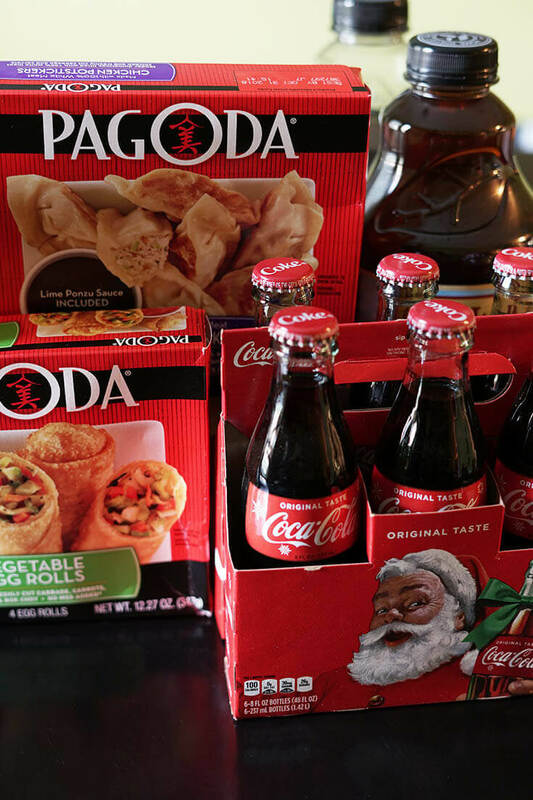 You can find both at your local Vons by clicking this link. May all your meals be magical and delicious and your holidays stress-free! May they be full of love from your family and friends! If you are traveling, be safe! Happy Holidays and let’s go make memories! This is a delicious and easy combination! What is your secret to keeping laughter and love in the holidays? We can all get caught up in the hustle and bustle. I’d love to hear what works for you!!! 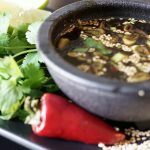 Sweet orange juice, bright lime and salty soy sauce combine to make a savory Citrus Ponzu Dipping Sauce. It takes less than ten minutes to make! It's tasty and tantalizing, making your favorite appetizer even more delicious! Zest and juice the lime - add to the mixing bowl. Add the chili garlic sauce, rice wine vinegar and sesame oil. Whisk everything together well. Mince the cilantro and thinly slice the green onions. Add the cilantro, onions and sesame seeds and whisk together again. Serve and enjoy with your favorite appetizer! This makes 1 cup of sauce, about 16 servings - one tablespoon. Sweet orange juice, bright lime and salty soy sauce make a savory Citrus Ponzu Dipping Sauce. It take less than ten minutes to make and is tasty and tantalizing! Isn’t it fun to have something a little be different but very tasty and easy to make. Love it. I’d never think about such an easy and tasty upgrade to any appetizer plate! But it’s so genius! I love it! And it must be so zesty-yummy good! A must-make for the holidays! Thank you Liza, I hope you enjoy this yummy dip! Nice combination of flavors in this sauce!! Thanks for sharing!!! You bet – thank you Jocelyn! Looks so yum and easy to make! Yes and so yummy – thank you Richa! Yum this looks amazingly versatile! I love sauces like this!!! And I can easily replicate this to be gluten free. Thank you so much for the delicious idea! Yes, this will be a delicious sauce for you & your family to enjoy. Thanks Sandi! I also make a very similar sauce for dipping with spring rolls and deep-fried wontons. I love the light consistency and the fresh herbs. Will have to give your recipe a try. Thanks for this! I’ve been kind of obsessed with a restaurant’s sauce here in town and trying to replicate it. FINALLY! I love that light bright flavor too. Thanks so much Yuen! !